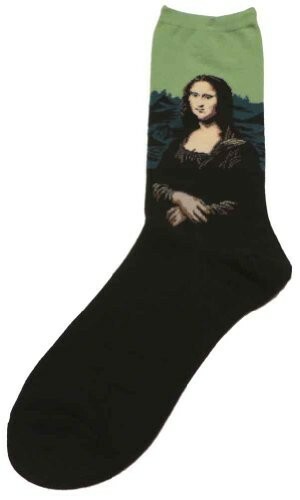 No need to travel to the Louvre when you can have Michelangelo's Mona Lisa up close and personal on your feet. 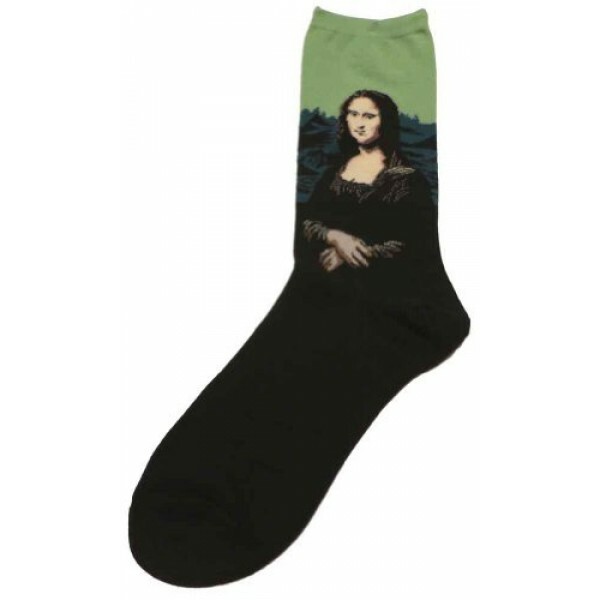 Made of 53% Cotton, 44% Nylon, 2% Spandex, 1% Rayon and available in two background colors, lavender and leaf. One size fits most.